The Toys to Life genre is wildly successful. Disney has guaranteed itself a sizeable piece of the pie with Disney Infinity. But now it’s introducing a new type of play using wearable tech that could change the way imagination, wearables and technology combine. The groundbreaking system of toys and wearables uses smart technology to inspire kids to run around and use their imaginations, as they become the hero or heroine of stories from across The Walt Disney Company. 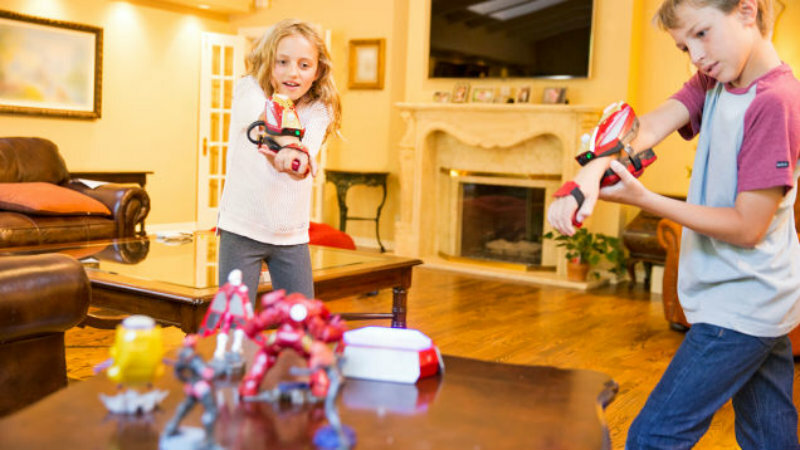 Playmation Marvel’s Avengers is the first of a series of systems in development, including Star Wars and Frozen. In Playmation Marvel’s Avengers, strap the high-tech Repulsor Gear onto your arm and join the Avengers in their fight to save Earth! As an Avenger recruit, your on-board intelligence JARVIS will guide you from your Gear as you accept missions from the Avengers and battle in exotic locations around the universe to save our planet—all from the comfort of your own home. You will go through familiar gameplay experiences of leveling up, earning points and completing missions There is a companion app, but Playmation is not meant to be played in front of a screen. Instead, you become part of the story in real life–running around and using your imagination to complete missions and go on exciting adventures. Kids have always played with each other, pretending to be their favourite characters going on great adventures. Now with wearables that allow them to complete missions, earn XP and progress from one play session to the next, this could flip Toys to Life on its head. Sure, kids (and adults) will still want to see the action play out on their screens, but for those who also want to play without a console or wifi required (or who keep getting sent outside to play), this could be a brilliant new hybrid. This is finally a kind of wearable tech that looks like it could make decent use of the technology. Sure, kids should be encouraged to use their imagination when playing, but this is a great kind of toy that can add to their experience while tying in with mobile. I’m sure it will be really expensive, but I’d still be curious to give it a whirl myself and I’m sort of jealous of all the kids who get to grow up with toys like these.